Just in time for Spring! 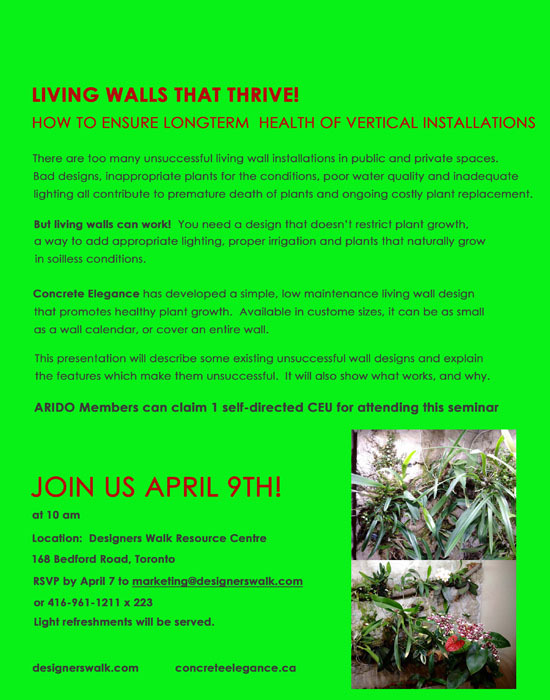 Living walls that thrive - how to ensure longterm health of vertical installations. ARIDO Member can claim 1 self-directed CEU for attending this seminar.